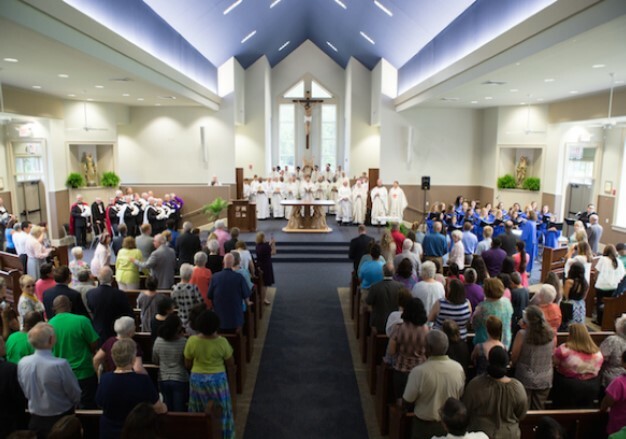 On Saturday, May 21 this parish community of St. Anthony of Padua in Ray City, Georgia, saw a long-held dream come true when Bishop Gregory J. Hartmayer dedicated our new church building. More than 400 people attended the dedication Mass, which was the joyful culmination of a years-long process that felt like a “roller-coaster” ride. Thank you for your support of our 2017-2018 St. Anthony of Padua Building Fund Campaign. Now we are doing our 4th Campaign 2018-2019. We have begun this journey and you have responded generously, and I ask you to continue. As you know, stewardship of our time, talent and treasure is fundamental to our Catholic faith. 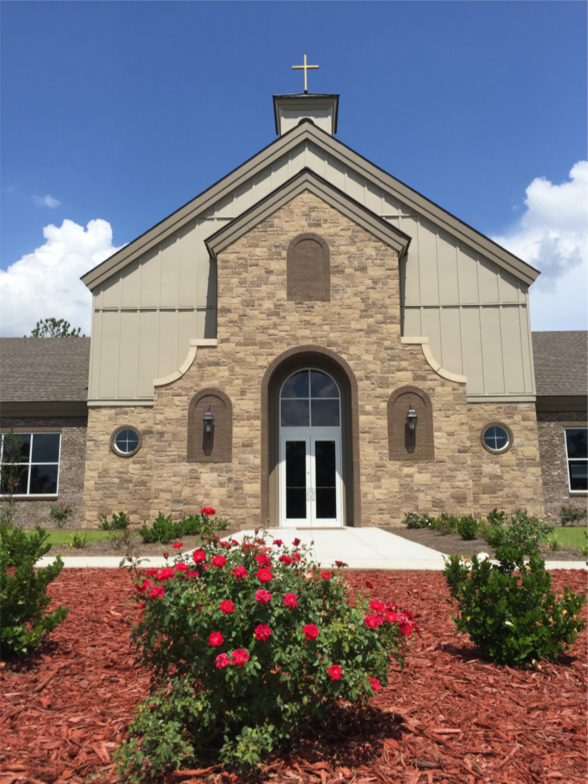 Your support helped us to build St. Anthony of Padua dedicated this past May. We are now a part of a Community that will be working harder educating and engaging our children, teens, and adults, providing pastoral and liturgical care, hosting many ministry events at our New Church and, of course, paying our bills. I would like to thank everyone who made a pledge and everyone who continues to support the mission and the work we do each week to Build God’s Church. Special THANKS for you generosity. From August 1 2017 to June, 30th, 2018, our parish family raised almost $185,000. We would like to greatly thank the Knihjts of Columbys and our dedicated food sale crew and all who contribute to our PArish growth. Please continue to help us raise money to pay for this beautiful worship and community space with our 2018-2019. Remember we need to keep our regular collection going and continue making the goal with our BAA every Year.